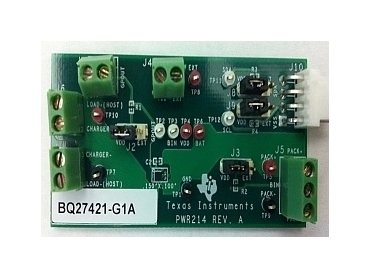 Texas Instruments has introduced the industry's smallest and most accurate Li-Ion battery fuel gauge integrated circuit, the bq27421, which boosts battery run-time in portable medical devices, such as wearable health monitors, and industrial devices like inventory scanners and portable emergency lights and other consumer electronics. Leveraging TI's Impedance Track advanced battery technology typically used in tablets and smartphones, the bq27421 system-side fuel gauge in a 9-ball chipscale (WCSP) package accurately reports remaining battery capacity, state-of-charge and battery voltage, allowing portable devices to extend run-time by 50 percent or higher. "Users of portable medical and other electronics need an accurate prediction of remaining battery capacity to better manage their mobile device and decide when to recharge or replace the battery. Whether it's a blood glucose meter, wearable patient monitor bracelet or portable inventory scanner, you need accurate information to make good decisions," said Steve Lambouses, vice president of battery management. Designers can use the pre-configured "plug-and-play" bq27421 fuel gauge with TI's new Gauge Studio software tool to simplify battery gauging design. The file size of the Gauge Studio design tool is about ten times smaller than TI's previous software, minimising configuration and system firmware development.